Last week a huge leak of confidential documents detailed how the wealthy and powerful use tax havens to hide their wealth. 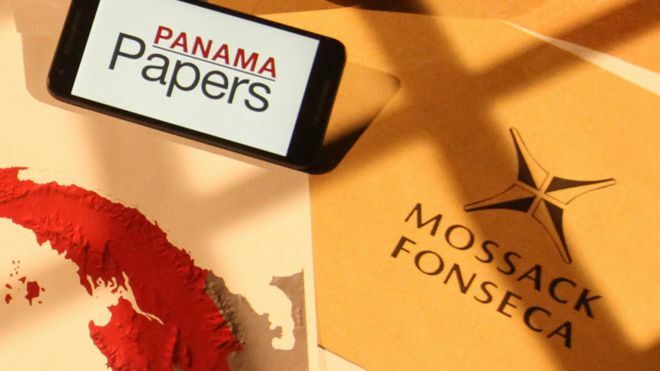 Eleven million documents leaked from Panamanian law firm Mossack Fonseca, were passed to German newspaper Suddeutsche Zeitung, which then shared them with the International Consortium of Investigative Journalists. One of the key elements that is shocking about the revelations is the sheer scale of the number of individuals and the volume of wealth hidden in tax havens either legally or illegally. These ‘Panama Papers’ amount to approximately 3 terabytes of data which is about 100 times larger than the 1.7 GB of data revealed by Wikileaks in 2010. As The Economist points out, the uses to which these shell companies, trusts and the like are put range from the perfectly legitimate to tax evasion to hiding what is the suspected looting of public money. Africans on the list included president’s relatives, state officials and leading business people such as Ahmad Ali al-Mirghani, former Sudanese president; Alaa Mubarak, son of former Egyptian president; John Addo Kufuor, son of Ghana’s former president; Clive Khulubuse Zuma, nephew of South African president; José Maria Botelho de Vasconcelos, Angola’s minister of petroleum; Emmanuel Ndahiro, Rwanda’s former Chief of Intelligence; Kojo Annan, son of former United Nations secretary general and, closer to home, Kalpana Rawal, Kenya’s Deputy Chief Justice. In terms Rawal’s activities, the Mail and Guardian reports that Rawal and her husband were directors of two companies based in the British Virgin Islands, prior to her joining the nation’s Supreme Court. The family used other offshore companies to buy and sell real estate in London and nearby Surrey. Her response to this is that she has not been involved with the family businesses except for generally knowing they were involved in real estate. She says she was listed as director on two of them without her knowledge by her husband when he was told two directors were required. There are three elements that are saddening for Africa in this debacle. The first is that Africans are not surprised that Africans are on the list; not in the very least. Africans have long known that the wealthy, especially those who loot public funds for private gain, scurry their illegitimate wealth from African jurisdictions to obscure tax havens elsewhere. Thus, although there was surprise in many Africans at the scale of activity in the Panama Papers, barely an eyelid batted when Africans appeared on the list. We already knew. The Panama Papers merely elucidate how some Africans engage in what can be arguable described as delinquent behaviour. The second saddening element the Panama Papers highlight is that Africa continues to haemorrhage away wealth to the detriment of the continent. This is a not a new revelation; indeed the irony of ironies is that Kofi Anan, whose son is on the Panama Papers list, has been an ardent champion of stopping illicit financial flows from Africa. Figures from the UN for how much has left Africa in illicit financial flows range from between $1.2 trillion and $1.4 trillion between 1980 and 2009 which is almost equal to Africa’s current gross domestic product and about four times Africa’s external debt. But the truly saddening element of the Panama Papers revelations is that it is not difficult to surmise that public funds constitute some, if not most, of the wealth being hidden by Africans on the list. Thus it can be inferred that some Africans stole taxpayers money then hid the money so as to avoid being taxed on the very same taxpayers money they stole. Thus Africans undergo a double loss of money that should be used for their economic and social development. What is sure is that as the Panama Papers continue to be mined, more African names will emerge detailing the scale of tax evasion and concealment of wealth in which rich and powerful Africans engage. It will be truly interesting and frankly entertaining to see how Africans on the list explain why they’re on the list or why they should not be there. Get ready Africa. This entry was posted in Africa, Development economics, Economics, Emerging Markets, frontier markets, International Finance, Kenya, Political Economy, Politics and tagged illicit financial flows, Panama papers, tax evasion, tax haven.